A unique watermark can prevent your own videos from using and re-editing without authorization, avoiding someone else steals the fruit of your effort and talent. To some extent, it is also a wonderful method to enhance brand popularity along with company reputation. You might be confused about which free video watermark software is an appropriate one for you to create watermark. Don't worry. Here we will show you top 5 best free video watermark makers clearly. Just as the name implies, this compact video watermark software is capable of making watermark for your entire video with no cost, including text watermark as well as graphic watermark. With an uncluttered user interface, it makes the whole operating process simpler. According to your own preferences, you can decide to combine a text watermark with a graphic watermark together and then free embed them to the imported video file. At the same time, the text you add can be placed on any position, which can be designed with definite font size, color and type. Essentially, this tool also includes full support to the dual core CPU and work on your computer at fast speed. VirtualDub is another free watermark maker that you can utilize to create stylized watermark for your own videos. However, its interface seems a bit overwhelming to users, especially for new starters. Namely, the senior professionals may show more appreciation to it. By making use of it, you can get an access to set width, height, background color, transparent color, opacity, starting frame, duration, loops, fade effects, etc. What is worth to mention is that VirtualDub also has option to insert watermark to your video with the special logo filter. 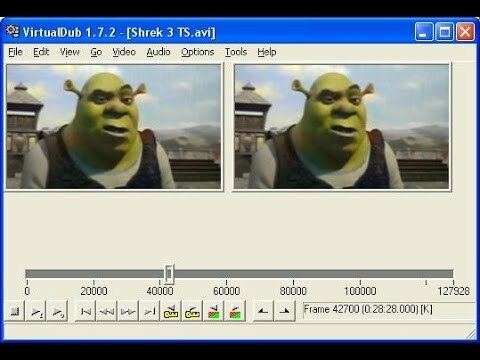 Online Watermark Maker is an all-round online tool that allows you to add watermark to video online in a comprehensive manner. It can support selecting video file from computer, Facebook, Box, Dropbox, Google Drive, SkyDrive, Flickr, Evernote, Picasa, Instagram, etc. Furthermore, it also empowers you to add text watermark and image watermark handily. 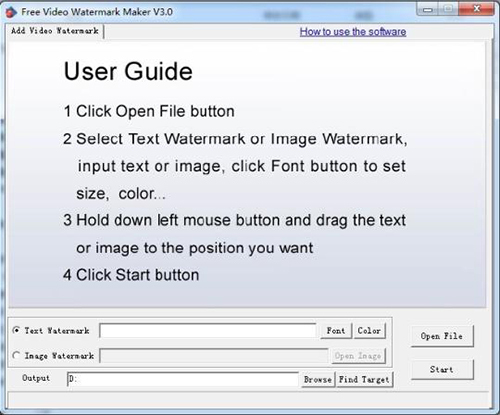 Similar to other offline video watermark maker software, it comes with possibility to customize font size, background, color, stroke, shadow, etc. If these mentioned functions can cater to your needs, you can use its free basic version directly. Nevertheless, to unlock more features, you should get a premium one. Format Factory can not only assist you to make watermarks for your photos and images, but also facilitate you to create watermarks for your videos. By means of this free watermark software, you are entitled to change the render settings, confirm the signature, size and logo, position a proper location, etc. Additionally, Format Factory can perform well in other aspects. It is able to convert your video files to a new format you want. Besides, it even has ability to extract audio or video from a DVD or CD and help you save it on local computer. Here is an extremely amazing free video watermark maker you should not miss. It is Cute Video Watermark Free. 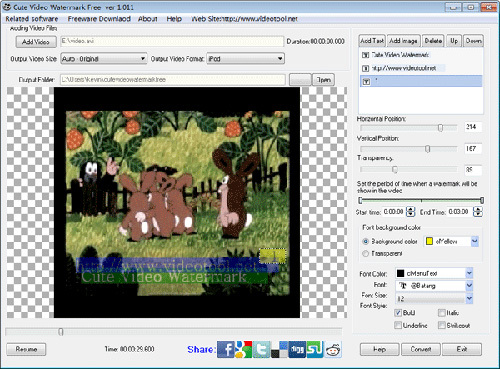 Under the help of it, you can enjoy a thoughtful workaround to add watermarks to videos. In details, Cute Video Watermark Free delivers a platform to insert multiple text together with image watermarks at the same time and put them on desired horizontal and vertical locations. Remarkably, you have right to set the period of time that embedded watermark will be shown in the edited video by define both start time and end time. Other than that, you are enabled to adjust transparency, background color, font color, size and style, etc. 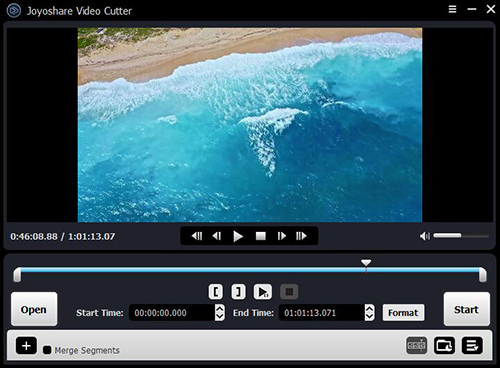 Compared to above-listed free video watermark software, you perhaps have more affection for a multifunctional video processor, like Joyoshare Media Cutter. In terms of creating watermarks, this brilliant program offers capability to insert text and image watermarks in stylized way. It's also accessible to change location, transparency and size. The built-in font settings can give you more permission to enrich your watermark by designing font color, shadow offset, outline size, horizontal spacing, language, effects. Most of all, you will find it is convenient to see all changes in the preview window. Moreover, you can generate a shocking video by adjust the brightness, contrast, hue, saturation, aspect ratio, etc. Joyoshare Media Cutter can do well in specifying configuration info for output format as well. Anyway, it can do more things than you imagine.